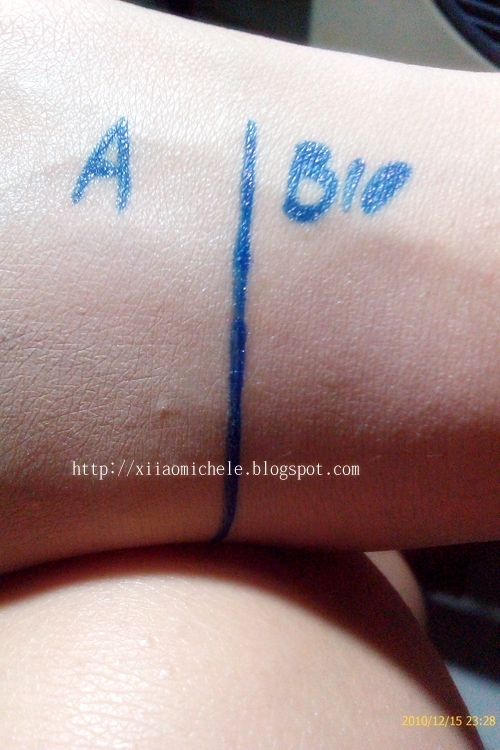 Remember in the previous entry, i was introducing 2 of the Bio-Essence BB creams? 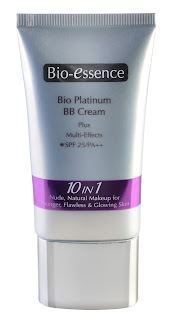 In this entry, I will be introducing the last product on my hands, Bio-Essence Bio Platinum BB cream. Just by hearing the word, Platinum, I'm sure its gonna be the best in this series. Haha! 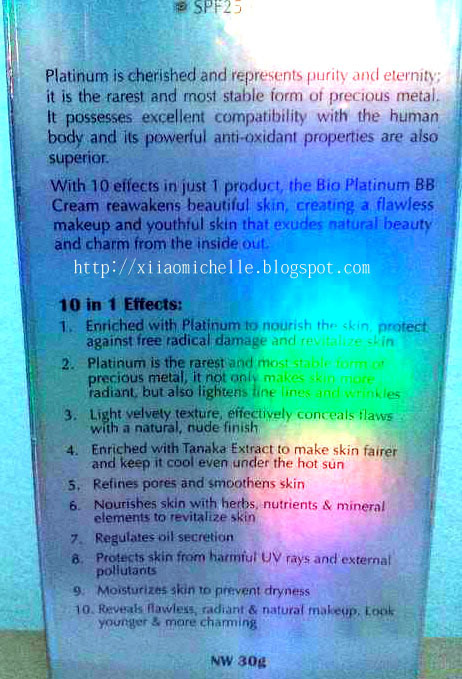 Revitalizes skin with precious Platinum to nourish skin and protect complexion against free radical damage. Platinum is one of the rarest and most precious metals on earth, which helps make your skin more radiant and also lightens fine lines and wrinkles. Contains Tanaka White Extract which has excellent natural whitening and moisturizing effects. It also keeps the skin cool under hot sun and protects it against melanin buildup and pigmentation for a fairer complexion. Bio Energy Fluid and other herbal extracts such as Ginseng and Angelica provide a rich source of nourishments and nutrients to encourage cell renewal and skin repair. Formulated with SPF 25/PA++ to protect the skin from damage caused by UV rays, preventing premature ageing, wrinkles and fine lines. Light velvety texture, creates a flawless radiant finish that conceals imperfections, enlarged pores and evens out the skin tone. The Correct steps to apply BB creams. Sorry if i do freak you guys out with this photo! As what you can see over here, on the left side of this picture is just with the Platinum BB cream, on the right, is my normal make up. See any difference?! 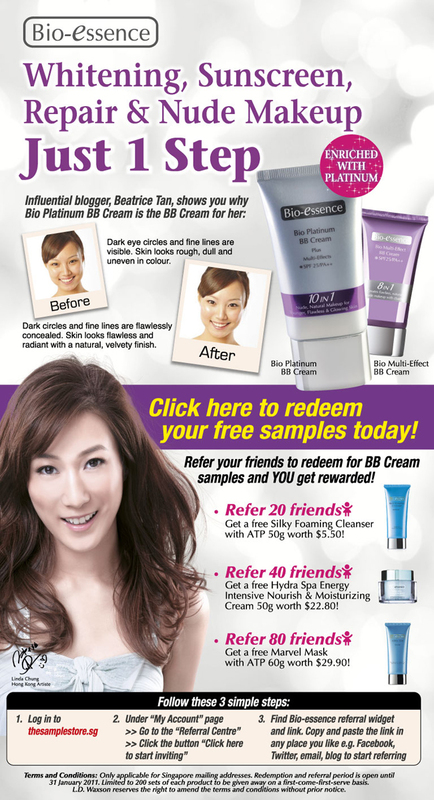 This means I would save alot of time and make up when i used the Platinum BB cream instead! Unbelievable!! Size A is my normal make up routine, which appears a bit cakey and un-natural. 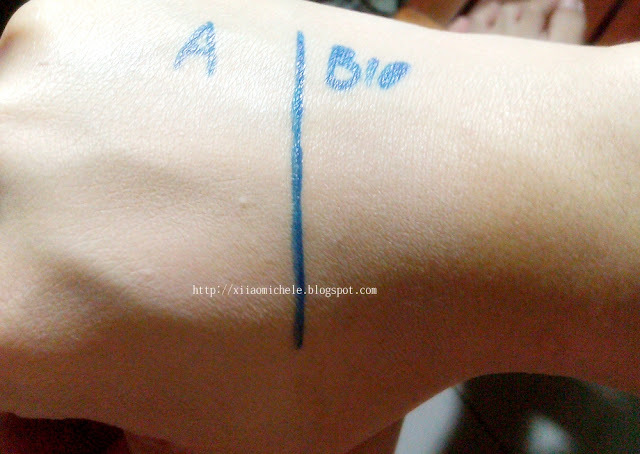 Whereas Size B, I only applied with Bio Platinum BB cream and loose powder. Which is less cakey and more natural. 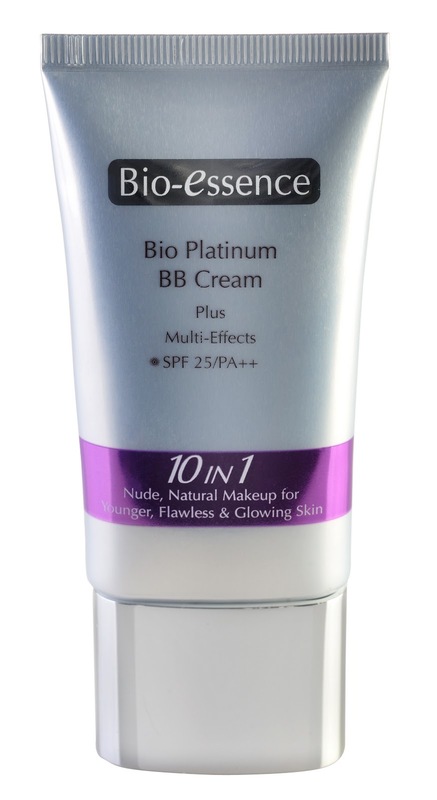 Personally, I love this Bio Platinum BB cream the best, out of the 3 Bio-Essence BB cream I had received. 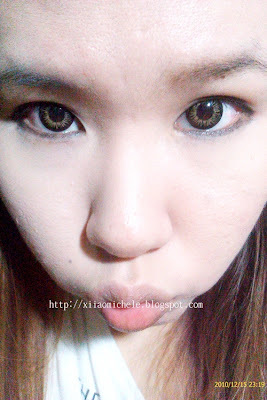 I just love the way my pores and blemishes are being covered! And to the extend that I just need to apply loose powder over it to finish my make up routine. Thumbs up for this! ALERT!!! I GOT SOMETHING COOL FOR ALL MY READERS! CLICK ON THE LINK BELOW TO REDEEM YOURS NOW! GOOD LUCK!